so I'm gonna try to group them as best as I can. 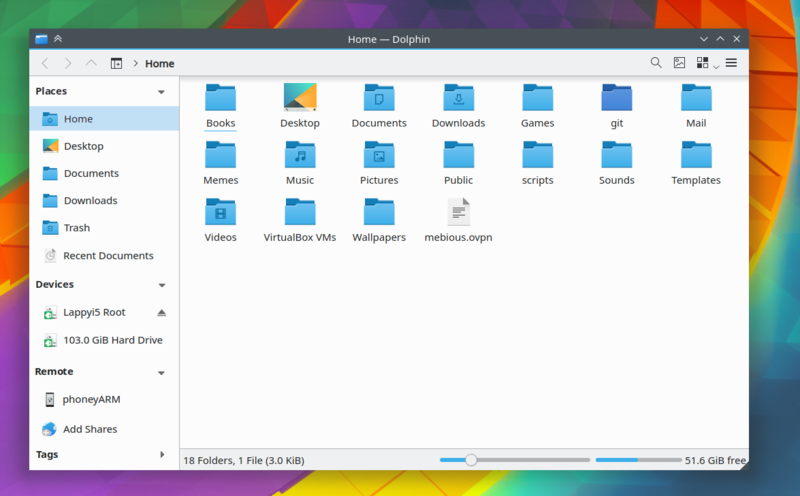 appealing then current and helps to make dolphin look more modern. Mounted devices should have an eject button on them on hover. it more readable when using split views. prolly use the vertical show more button "|||" to show all panels. having to click the FAB. a lot with split view accessibility. help separate the folder view from panels. I don't know about the top shadow but I love the rest. Good ideas. al-dy wrote: I don't know about the top shadow but I love the rest. Good ideas. 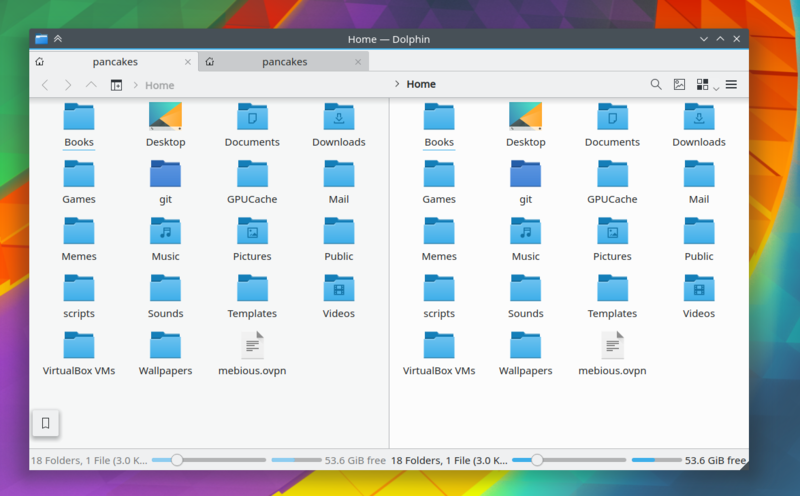 I figured otherwise it otherwise make places indistinguishable from the folder view. This is without the shadow. Perhaps put a shadow between the file view and the panel(s) (as well as between the file view and the path bar). This would suggest that the file view is under the other elements. Perhaps hide or use a lighter shadow when the file view is scrolled to the top to add another visual cue when you can't go up any more (and add a similarly-behaving shadow to the bottom).